Indeed. 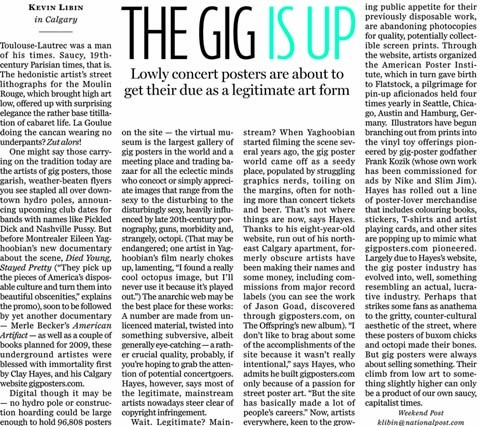 Very cool article in the National Post out of Toronto, ON in Canada on the world of gigposters, both actual and the website dedicated to them. It’s a great piece on Clay Hayes, who started the website www.gigposters.com without realizing that he in fact, was starting a revolution. To read the article in full, on the off chance that you don’t have super awesome magnifying specs, I’ve posted the article on my Flickr account. MUCH easier to read. Thanks Canada! You are always lovely. 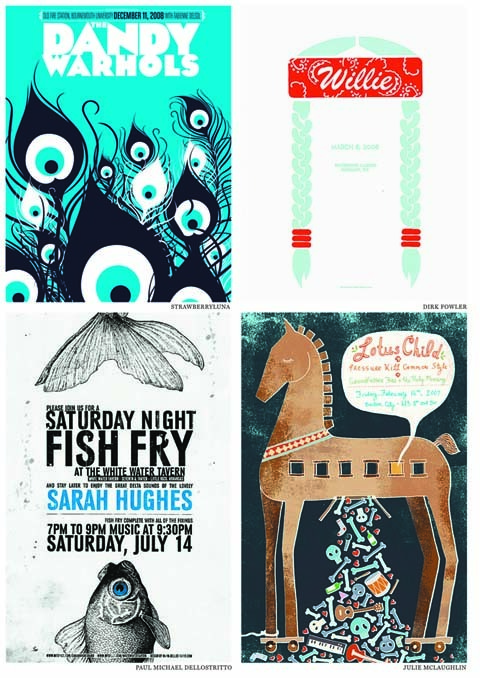 This entry was posted in News & Events and tagged American Poster Institute, Clay Hayes, Died Young Stayed Pretty, dirk fowler, Eileen Yaghoobian, gigposters, Jason Goad, Julie McLaughlin, music, national post canada, Paul Michael Dellostritto, rock posters, strawberryluna, toronto by strawberryluna. Bookmark the permalink.